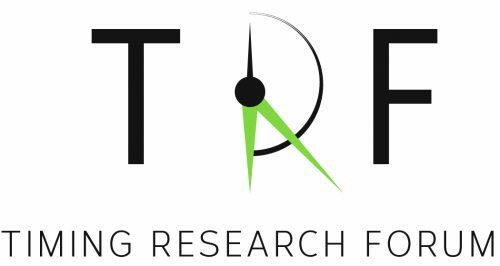 We are pleased to invite you to attend the 1st Conference of the Timing Research Forum to be held in Strasbourg, France from October 23-25, 2017. This international, multi-disciplinary meeting will encompass all aspects of timing research (duration, temporal resolution, rhythms etc.) from a variety of different approaches (experimental psychology, neuroscience, modeling, clinical, philosophy). The emphasis will be on oral and poster presentations by young researchers, with interaction between junior and senior researchers strongly encouraged. Strasbourg is located on the border of Germany, and is the symbol of peace between France and Germany. Together with Brussels, it is recognized as the capital of Europe. With its rich medieval history and multicultural influence, it was named a UNESCO world heritage site in 1998. It is an ancient University town, whose current research is recognized for its excellence. The conference will include 3 keynote lectures from junior and senior researchers, and several themed symposia, oral sessions, and poster presentations. We invite you to submit abstracts for oral and poster sessions and/or proposals to organize symposia. All submissions will be peer-reviewed by members of the scientific committee, which will be composed by the TRF Committee members, and the conference organizers. 8 Symposia will be selected from submitted proposals. Each symposium must be themed around a single topic and will include 3 oral presentations of 20 minutes (+ 5 minutes questions) organized by a chairperson, who can also be a presenter. There can be 4 oral presentations if preferred, but the total duration of the symposium should not exceed 1 hour and 15 minutes. The chairperson is responsible for submitting the symposium proposal and for recruiting speakers. Symposia on current topics and of a multidisciplinary nature are encouraged. The name, contact information, and affiliation of the symposium chairperson. A brief abstract describing the symposium’s objective and topics to be covered (maximum 500 words, references included). The title of each presentation, with a listing of proposed speakers, their affiliations and contact information. For multi-author papers, please underline the presenter. Abbreviations must be spelled out in full at their first use. Do not use abbreviations in the title. Use only standard abbreviations. If your symposium proposal is not accepted, the abstracts will be automatically re-considered for poster or oral presentation. A title that clearly defines the work addressed. Name and affiliation of the authors. For multi-author papers, please underline the presenter and provide their contact information. An abstract describing the specific goal of the study, the methods used, a summary of the results, and a conclusion. The abstract should not exceed 300 words (references included). Do not add formatting. Italic, bold, tabs or extra spaces will not appear in the final program. Your preference of oral or poster presentation. Specify whether you wish to apply for a student travel grant (see below). All selected abstracts and symposium proposals will be published in a special issue of the Timing and Time Perception Reviews journal. We offer a small number of student grants. Please mention that you wish to apply for a grant at the end of your abstract. Grants will be awarded by the committee based on the quality and interest of the abstract. Registration will be free for speakers/symposia organizers, as well as for students of the University of Strasbourg (who supports the conference). Registration fees will cover a buffet lunch for all 3 days of the conference, as well as coffee breaks and social events. The website for the conference will be launched soon, and will provide more details about the program, venue, as well as practical information. Abstract submission and registration will be coordinated via the website. For any queries, please email Anne Giersch at trf.strasbourg@orange.fr.